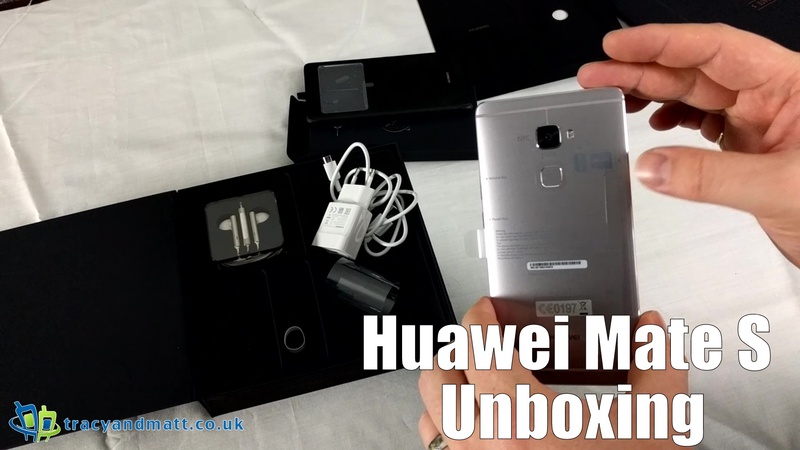 Huawei have very kindly sent over a Mate S for a full review. Here is the initial unboxing and reaction to the device. Featuring a 5.5 inch 1080 x 1920 pixels (401 ppi) Amoled capacities touchscreen there is a lot to like in the Mate S. Under the hood are a couple of Quad-core processors, one sitting at 2.2 GHz and the other at 1.5 GHz with 3 GB RAM at disposal. A 13mp, OIS, autofocus camera with dual-LED flash lies subtly in the rear whilst the front sees an 8mp LED flash companion. Powered by a non-removable 2700 mAh battery the phone should see an upgrade from Android 5.1.1 Lollipop to 6.0 Marshmallow in the near future. A fairly heavy user interface sits atop of Lollipop call EMUI. This can seems somewhat intrusive however initial impression are that this user interface has more elegance than the user interfaces we have seen from other manufactures and in fact bring Android a lot closer to iOS than we’ve seen before. Available in three colours Luxurious Gold, Mystic Champagne, Titanium Grey and with three storage options 32, 64 and 128gb we will have a full review up early in the New Year.